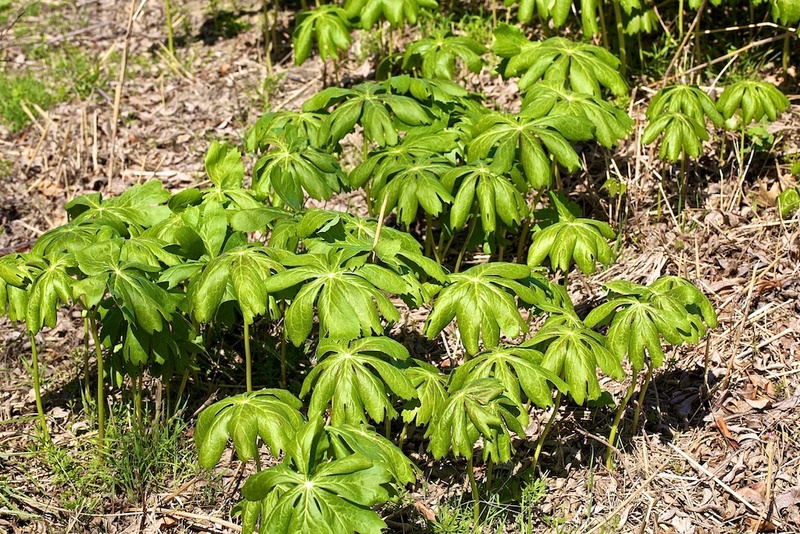 Bucky informed me this is commonly known as Mayapple. It produces a fruit in the summertime that Native Americans used for medicinal purposes. They have a nice umbrella shape.